I am a proud and grateful Swedish Institute Study Scholarship Holder (SISS) and I would like to hear you saying exactly those words later this year when you get the email informing that your application was also successful! That is why I prepared this complete and updated post on how to apply to the SISS with plenty useful information and also my own personal advice about the strategies I used to apply last year. 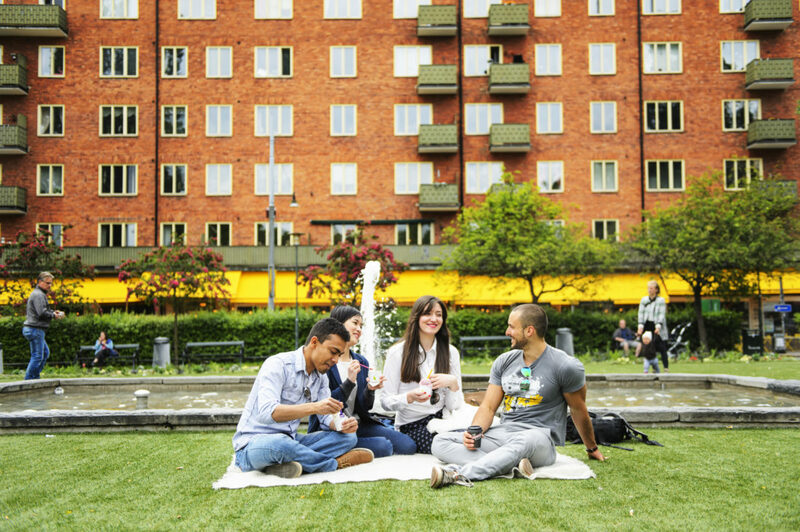 If you haven’t realized yet, we are here talking about a lifetime opportunity to pursue your Master’s in Sweden with a full scholarship that covers tuition fees, living expenses of SEK 9,000 per month, a travel grant of SEK 15,000 and insurance. Can you even think of a better opportunity for your life and career? Well, this year an estimated 180 scholarships will be available for full-time master’s studies in Sweden and you can be awarded one of them! Are you interested? The first information you need to check is whether you are eligible to apply for the SISS, and for that you need to analyze the following requisites. However, before you start reading this article, I think it is good to clarify that this article is intended to the SISS applicants, and if you are not from the 139 countries eligible for SISS, you can apply still apply for other scholarships, such as Visby Programme and Swedish-Turkish Scholarship Programme programmes and you can find all you need to know here. Now is time to let you know that the Master’s application is completely dissociated from your Scholarship application and you need to follow both of them in different deadlines and application procedures. For those who are planning to apply for the SI Scholarship, the first step of all is to choose the master’s program of your preference and make sure it is on the list of eligible Master’s programs for the 2018-2019 program. You can check the complete and updated list clicking here and I hope you find the one you are interested in on the list. 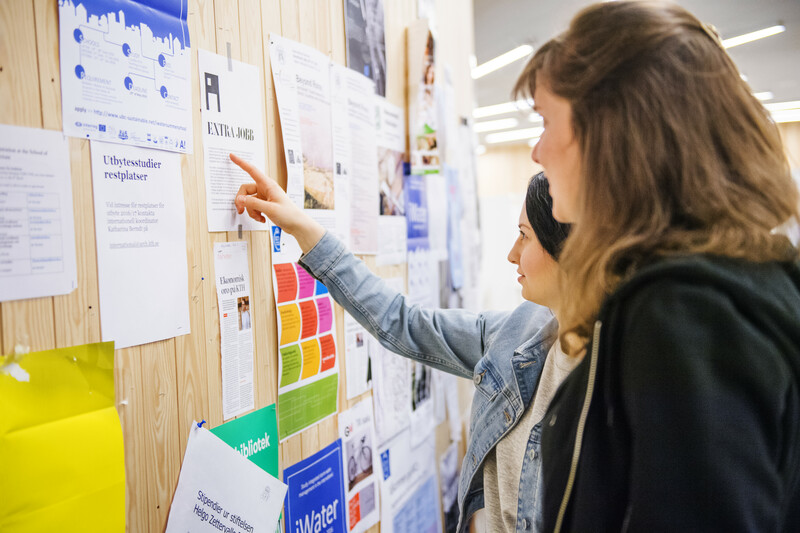 Then, the next step is to apply for the program at universityadmissions.se, between 16 October 2017 and 15 January 2018, which is right on the corner, so make sure you don’t miss the deadline! 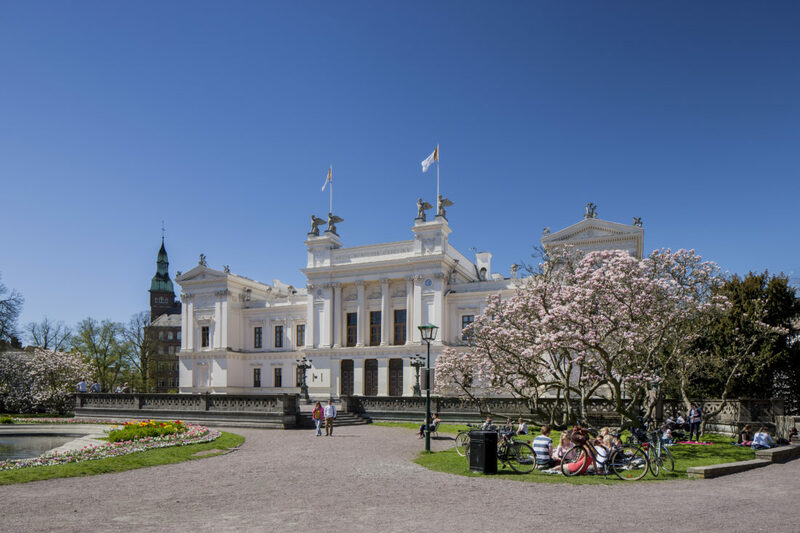 The University Admissions system is the national application service which handles admissions to universities in Sweden and it is not connected to the Swedish Institute, thus on this application, you need to check the documents and requirements set by each course and University. Please, keep in mind that you will only be able to apply for the SI Scholarship if you apply first on University Admissions as you will need the number of your personal application to submit your documents to SI later. Also, don’t forget to pay the application fee and submit all your documents by February 1st, because if you don’t follow those steps you will not be eligible for an SI Scholarship. The SI Scholarship application period will be from 2-9 February 2018 and you will be requested to submit a lot of documents through the online application portal. The application period is short and I am sure you want to be prepared to do your best and impress the Swedish Institute with your documents, so I prepared some tips for you to start preparing as soon as you finish your Master’s application. My first personal tip would be to recommend you to read at least 2 times the whole website, instructions on templates, and the Q&A section, to make sure you start your application knowing exactly what they are looking for, what are the requirements and start designing your own strategies. You know what they say…the most important part of a battle is the planning part, and I totally agree with it, that is why I actually started planning my application almost 1 year in advance! Second, I would suggest you take some time to reflect why you want and you think you deserve to be part of this project and when you are able to answer those two questions, start creating your own strategies and arguments to convince them of what you are certain of! That is a very very personal step and there is no math formula to help you with this, but I am sure if you are reading this article you know yourself enough to find your own solutions! The template for motivation letter is available on the SI website, so I strongly suggest you start drafting some ideas that will compose your motivation letter. I would say the motivation letter is probably one of the most important documents as you will be able to expose your plans, background, why you think you can make an impact in the world and your home country and provide good reasons why to pursue Master’s degree in Sweden will contribute to your personal and career plans. As the SI is looking for ambitious people, with leadership potential and strong professional background, you need to relate your professional and leadership experiences with your plans for the future and explain how you will be able to contribute to the development of your country. You will need to fill the template and upload the motivation letter as a PDF-file, but for now, I would suggest you to start thinking about and writing some ideas. I wrote so many versions of my motivation letter until I was satisfied and I am glad I started to do it early because I had enough time to improve to the final version, which was successful in the end! I know it might sound stupid, but I really need to warn you to proofread your letter as much as possible and to use programs such as Grammarly to help you writing properly. As you can apply for up to 4 programmes eligible for the scholarship, you will also need to write motivation letters for each programme, so keep that in mind and be prepared to provide those different letters. Let them know who you are, what you have been through in life, and how passionate you are with the opportunity to study in Sweden 🙂 Be as honest, clear and personal as you can in the answers and I am sure you will be ok! You must provide proofs of work and leadership experiences that you had and explained on your motivation letter and for that, you must use the SISS template for proof of work and leadership experience 2018/2019. On this documents, your referees will need to state the period of the work and leadership experience as well as explain your specific tasks, so contact people that actually know you and your performance in past projects and works. This information will need to be validated by a signature and official stamp of the referred organisation or a notary office to be valid. So, communicate this request in advance to make sure the stamp will be ready in case it is not available in your organization. If you have any specific question, check out this FAQ guide, where you will find a lot of important information. It is time to contact your referees and provide them the SISS template for letter of reference 2018/2019, so they can start writing the reference letter for you. If you have a strong work background, I would suggest you ask two professional referees and if you don’t try one work and one academic referee. At least one of those reference letters must be based on on your work experience from part-time or full-time employment, internship, voluntary work or work at student organizations. The second letter of reference can be based on your academic performance, part-time or full-time employment, internship, voluntary work or work at student organizations. Also, keep in mind that it will be a merit if this second letter of reference is based on your involvement in networks or civil society organizations outside of your regular work. How would an SI scholarship for master’s studies in Sweden be valuable for the professional and academic development of the applicant? Briefly comment on the applicant’s potential to contribute to and/or drive social changes in his/her context. Please evaluate the applicant’s leadership capacity and potential to play a role in development of the society (e.g. in networking, motivation and perseverance; problem-solving and communication). Please give a concrete example. To make the most out of your reference letters, I would suggest you get in touch with your referees and explain them the program, what kind of applicants they are looking for and the impact of the scholarship on your life. Let them know how important it is for you and explain how you believe you fit in the profile the Swedish Institute is looking for and hopefully, this person will be able to provide a significant reference letter. Please, remember your referee will need to stamp the letter with an Official stamp of the referred organization or notary office, so communicate this request in advance to make sure the stamp will be ready in case it is not available in your organization. In addition, if you are applying to SISS for South Africa, it’s not a requirement to have work and leadership experience, so Letter of reference and Proof of work and leadership experience are only optional documents. However, keep in mind that if you have worked previously it will be a merit for you, and then you should provide 1-2 letter of reference and proof of work and leadership experience to prove their work or leadership experience. More information can be found here. It does not have to be your direct boss, but can be, for example, the HR manager, as long as he/she can comment on your work performance and ability. If you are not able to find a professional referee, we accept referees who know you in an academic capacity. However, it should not be a referee who knows you in a personal capacity. Your CV is also a very important document on your application, as it will synthesize your academics, professional and personal experiences and competence. You will need to create a CV using the Europass Format and in my experience, the system was very intuitive and complete and I really liked the fact that I could save it and edit as many times as I needed – click here to start your curriculum. 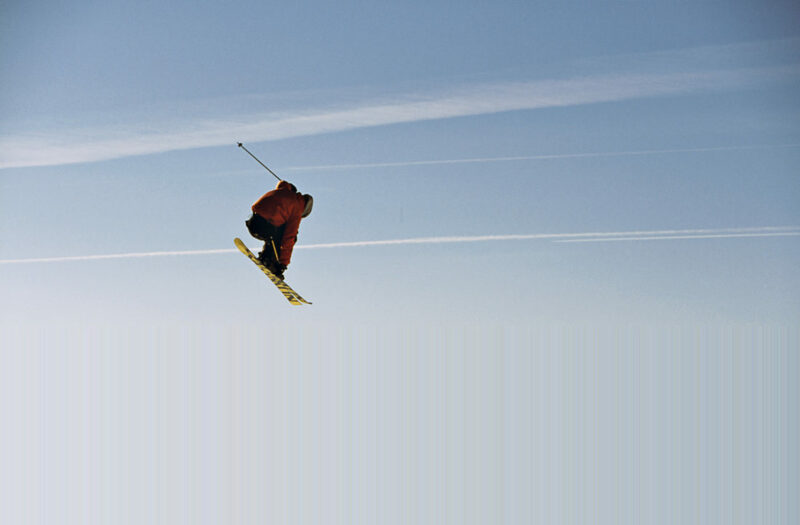 Remember that your Europass CV is limited to a maximum three pages, so make sure you select the information you think is the most relevant for your application, as additional pages will not be considered. My opinion is that you feature the most important experiences you had and also show them what extracurricular activities that had an impact on your personality and on your plans for the future, such as volunteer work or similar. You will need to send a copy of your passport attached with your application, so if you don’t have one or if your passport is going to expire soon, make sure you start the process of getting a new one right now. I know it seems like a detail, but in fact, you will not be able to be awarded an SI Scholarship without it, and I am sure you don’t want to risk this lifetime opportunity for a simple problem. Thus, I suggest you check your passport now and make sure it will be valid until the end of your program and if you don’t have one, start applying for it in your home country, as it can take some time to be issued. Do you have any question? Please let us know in the comments below! Also, I could not recommend more to read carefully all the instructions on the Q&A section, as it offers most of the guidance you will need! Lycka till for you all and I am sure that if you commit yourself to show them your true potential you will be my fellow scholarship holders in 2018! As a student there comes a time when we need to write a motivational as we apply for a course or degree. Here are my five tips for writing a motivational letter. I involved in a civil society organization in my country Banaladesh. I included in my SI CV template. Now I show any proof or work ecperience cerificate for those civil soveity work. Thank you for all the tips! University admission result published on April 6 were positive for me, but now eagerly waiting for SISS results on April 26, and very much anxious about it. Can you please tell me when does the SISS authority start to contact or communicate with the referee and employers regarding the verification of information? Because still they did not contact with any of my referee. Your answer will be beneficial for me. Thank you in advance. so glad to hear you had a positive answer! The specific moment when they get in touch with your references is not a public information, so, unfortunately, I cannot help you with your request. Thank you for all the tips! April 6 results were positive for me, but now I’m really anxious about SISS results on April 26..
Just to know, in case I get it, are the 9,000kr/month enough to live an average student life at Stockholm? Or you recomend getting further income? Huum, I think 9k SEKS a month in Stockholm is a little bold, but I know some people who manage to live with it. 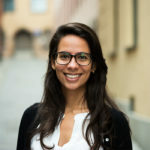 I would recommend you to get in touch with Suprita, Inez or Sania, as they live in Stockholm and could provide you a better insight of that. Hello Lara am trying to submit my application but am been told that I can’t submit though I used the motivations and Euro pass CV template from SI website. Please could you be kind enough to send me a sample that is filled so that i can cross check and see where I went wrong please. You can use the template provided on the Europass website, as suggested in the post. If we have reference letters as well as working experience letter other than SI provided template are those documents workable or we must have SI template for reference as well as work for experience letter? you must upload the reference and working letters in the specific format provided by the SI, otherwise, your application will not be considered. Hy Lara, i have work experience of teaching as a tutor. Will it work or not ? for scholarship. And your blog is helpful. God Bless you. yes, I believe you could list it as a work and leadership experience. Thanks for the insightful post. It really helps. As you have mentioned about the passport, I hold a passport valid until JUL, 2020. I am planning for my masters in FALL 2018. Will that be a problem for submission? It is possible for me to renew my passport during my summer vacation to my home country and I would prefer it as due to deadlines of the universities I dont prefer to get a new passport with new ID. WIll my chances of scholarship get affected due to the validity period? I would suggest you renew your passport before coming to Sweden but first get in touch with the SI if you are awarded a scholarship, to make sure you understand the right procedure to update the documents info. I don’t think your chances of getting a scholarship will be affected, especially because it will be valid until the end of your studies, which supposedly be around June 2020. Your post is very useful. Thanks a lot! Thank you for your feedback, Ken. Hi Lara, thanks for the post. I sent a message through your mail address here on the blog. Please kindly check and reply back. Thank you! HI Lara thanks for the post. I just checked the the requirements for South Africa and they say that work experience is not a requirement but a merit. So i’m wondering if i would be prejudiced if i don’t have work experience even though it is not a requirement . Greeting to you and thanks a lot for your valuable information. Let’s say that my working experience is divided into two positions. The first is having worked as a junior Engineer for 2000 hours. The second is working as an “Assistant Team Leader” for 1000 hours. Can I list both positions in the working experience table while adding the Assistant Team Leader” position in the Leadership experience table? Or is the Leadership experience has to be an extra experience in addition to the 3000 hours working experience gained through different positions? I have listed one work experience in both “Work Experience” and “Leadership Experience” template so you can use the same as well. Thank you so much Ms.Lara!!! I applied last year but was not able to get past round one of the selection process. I think I have good leadership as well as work experiences for the last six years after my graduation in 2012 in Communication Engineering. My first priority of study in University Admissions was ICT Innovations and second Communication Engineering. On the online SI scholarship application site, I mentioned my first priority was ICT. Could the reason of my rejection for the SI scholarship be that I chose ICT though I have engineering background? would you please forward me some personal tips you have experienced when you won it which would help me increase my chance of winning it as much as possible? unfortunately, I cannot provide you special tips, as it could constitute an advantage for some applicants in detriment of others. I hope you understand that! I think you should stick to your priority and make sure you provide enough explanation of why you are choosing this course and relate it both to your background and your future plans! I am so glad to hear that the guide helped you 🙂 Thanks for your kind words! If you can’t find it, write the institute and I am sure they will be able to provide you a better answer.